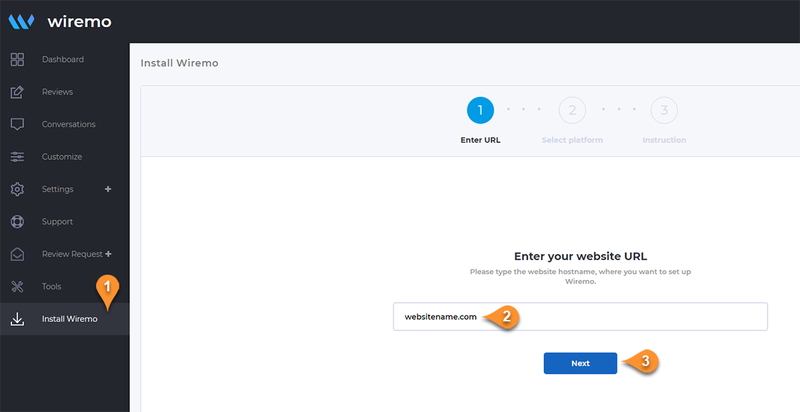 If you don't use one the platform listed in our support page then follow next steps to setup wiremo widget on your website. 1. First you need to login to Wiremo Dashboard and select “Install Wiremo” (pin 1) in the main menu. Type your domain URL (pin 2) and press the “Next” button (pin 3). 4. Open the page, where you want to add Wiremo widget, in HTML editor mode and paste the script at the top of page. 6. 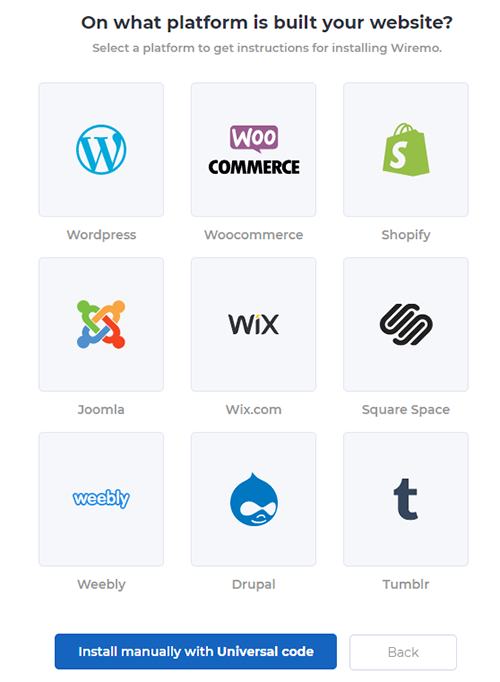 Place the copied code in your HTML code exactly where you want Wiremo widget to be displayed. 7. Save all changes that you've made in HTML. Refresh the page and check the widget!